Up on blocks. Maybe a permit, maybe not. Who knows what you are going to get. Great food on the cheap? Maybe? Sometimes? I was on the fence. The chatter about Bits and Druthers? It erased all doubt about the highest quality food coming out of a trailer. I don’t know much, but I do know is this. The next time I have a hankering for Fish and Chips, I’m not stuttering. Bits and Druthers. Not even close. Good show guys. Keep it up. 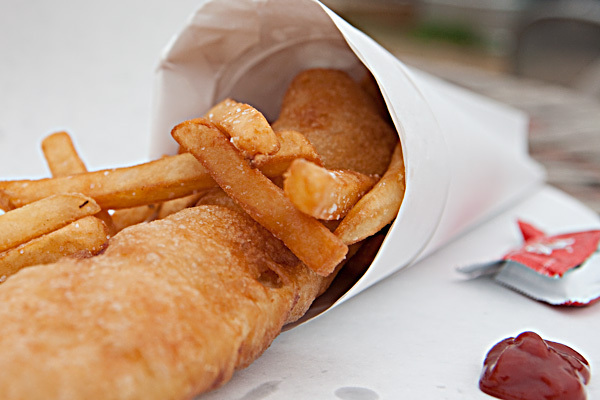 Easily the best Fish and Chips in town… Easily. Alright dangit. We have to go there. I must have the best fish n chips in town! I must!